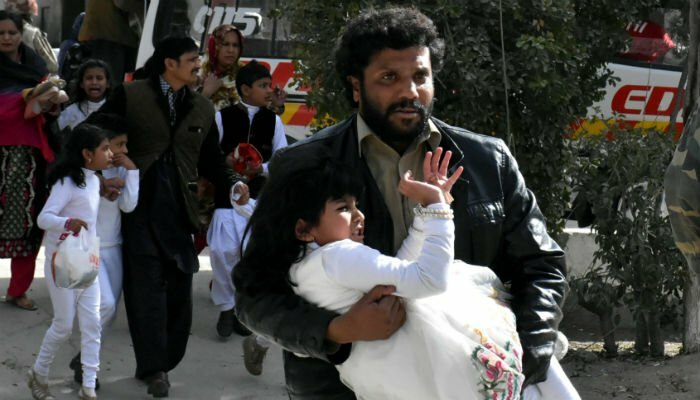 Yet another year has come to an end, leaving behind traces of terror attacks that took place mostly in vulnerable pockets of the country, where people were and still are unable to get proper treatment for critical wounds. 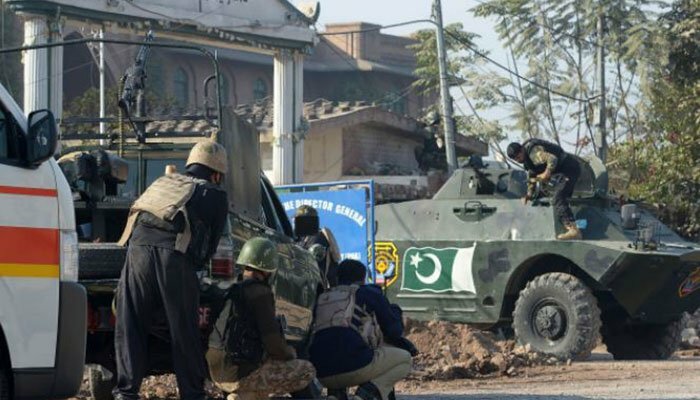 The beginning of 2017 saw a deadly attack in Eidgah Market of Parachinar city of Kurram Agency. 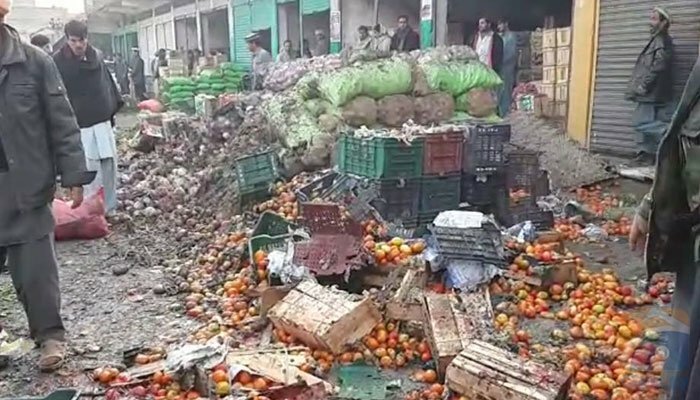 Vegetables scattered out of crates after the blast in Eidgah Market, Parachinar on January 21. 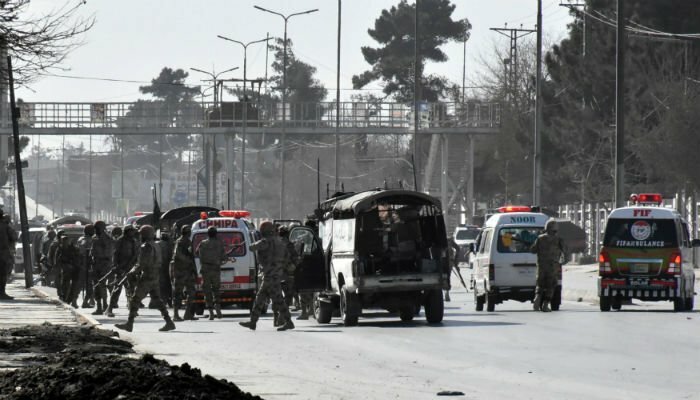 People had gathered to buy and sell fruits and vegetables in the agency's major town when a powerful explosion struck leaving more than 25 people dead and over 60 injured. 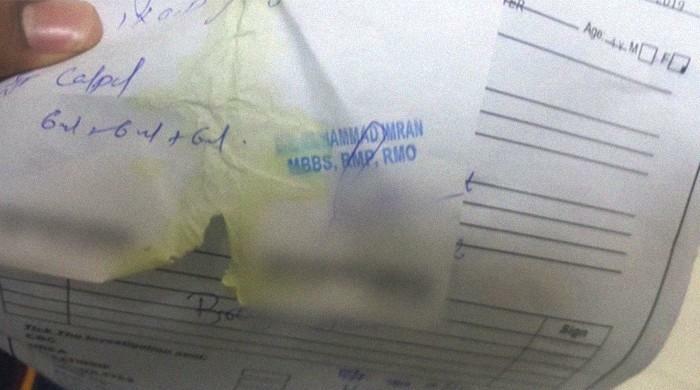 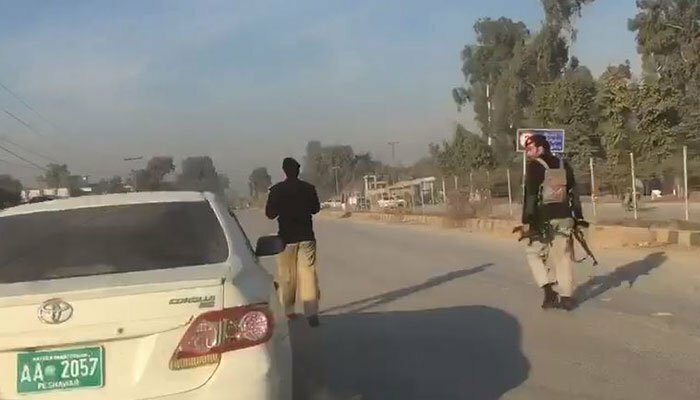 The wounded were rushed to Agency Headquarters Hospital, but those with critical injuries had to be shifted to Peshawar as the facility in Parachinar lacked the material required for proper treatment. 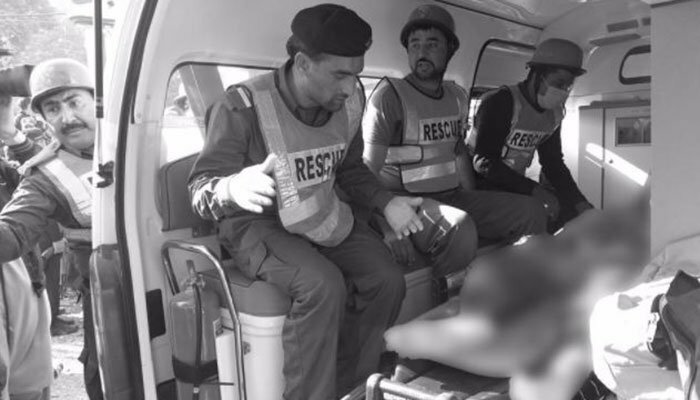 However, the state of the hospital in Parachinar remained the same during emergency situations in the explosions that followed. 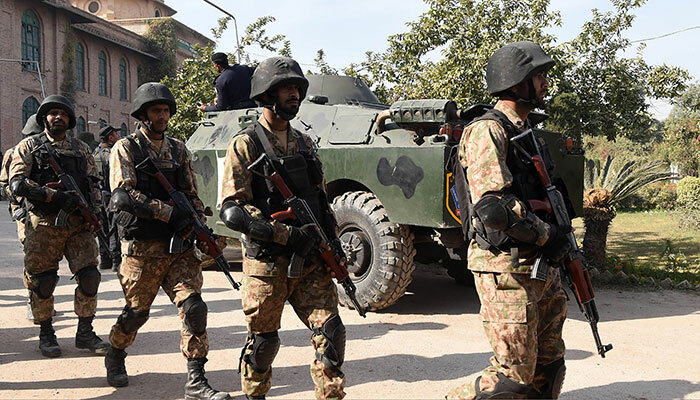 In February, Lahore fell target to terrorist designs when a suicide bomber detonated his explosive vest near the Punjab Assembly as hundreds of people gathered for a protest. 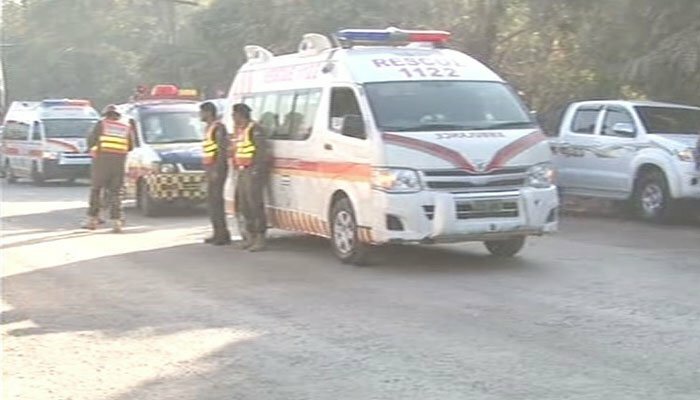 The Lahore blast claimed the lives of at least 14 people, including senior police officers. 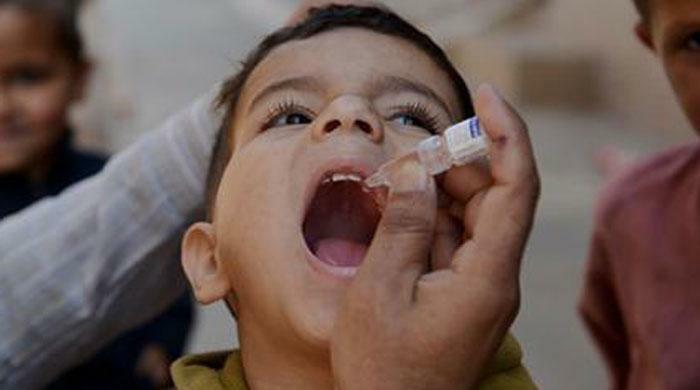 The protest near the Punjab Assembly was being held by chemists and owners of medical stores against the drug rules imposed by the provincial government. 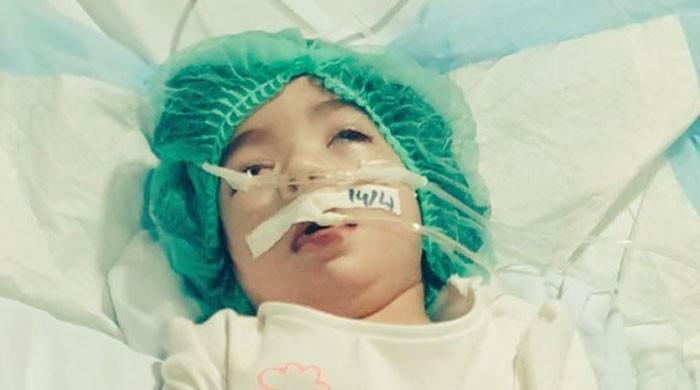 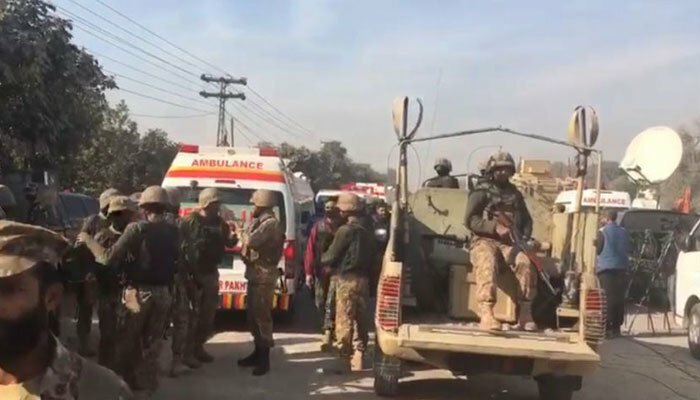 Hardly three days had passed since the Lahore incident when another powerful explosion took place in Sehwan city of Jamshoro district in Sindh. 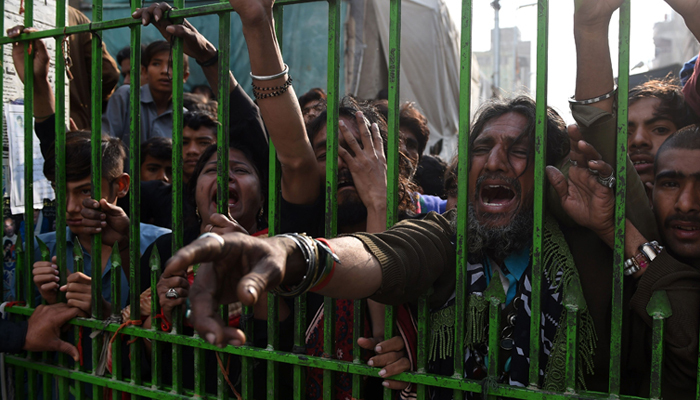 On the evening of February 16, hundreds had gathered at the shrine of Lal Shahbaz Qalandar for the dhamaal – the place was jam-packed when a loud blast occurred. 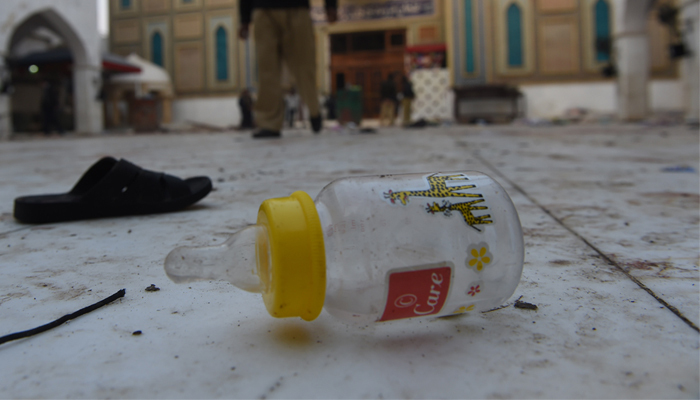 The incident left at least 90 people dead and over 300 injured. 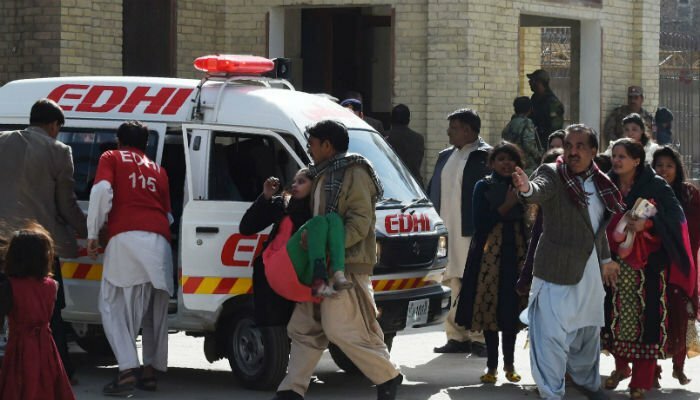 Just like Parachinar, in Sehwan too, there was no proper health facility where blast victims could be treated, compounding the agony of the victims and their families. 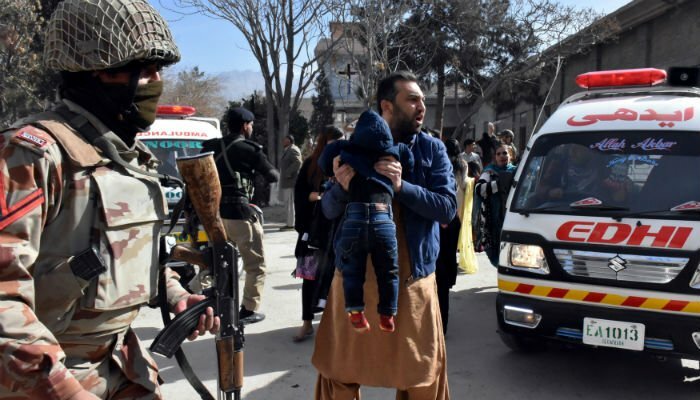 On March 31, terror returned to the tribal areas of the country. 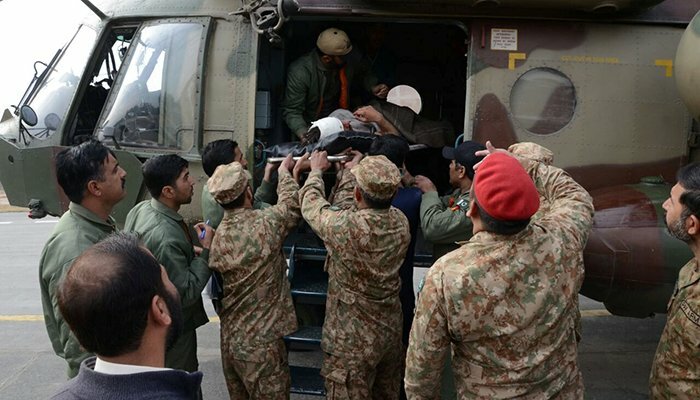 The target was yet again Parachinar. 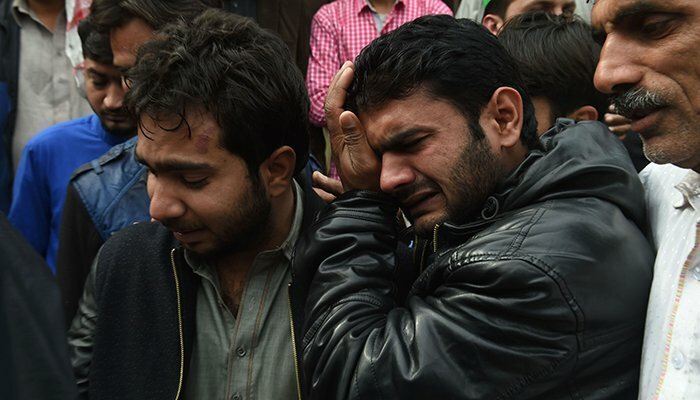 People stand by a building damaged in the explosion. 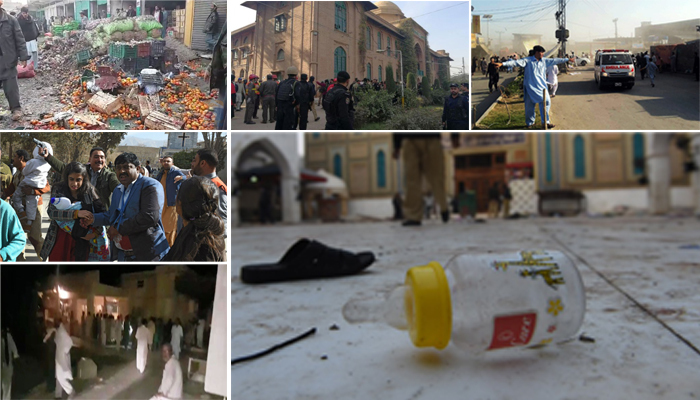 A busy marketplace outside an imambargah was targetted by a powerful bomb explosion, killing at least 24 people and leaving 90 others injured. 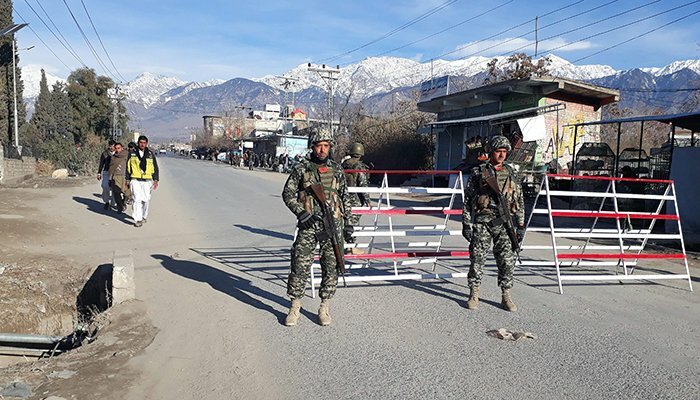 This time too, locals said the injured persons and their attendants were faced with difficulties at the Agency Headquarters Hospital Parachinar due to the dearth of medical facilities and staff. 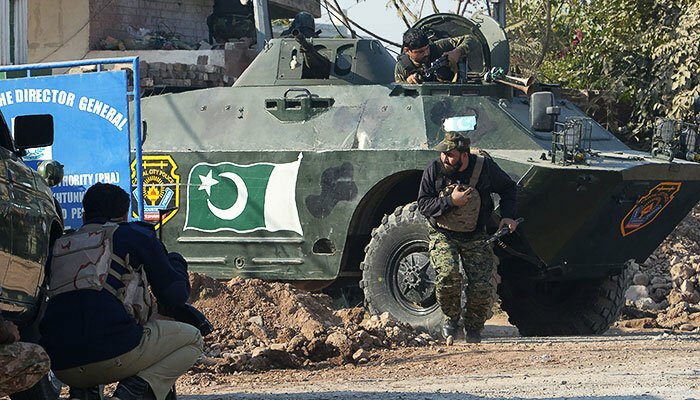 In April, Lahore was once again targetted by terrorists, this time a census team, escorted by Pakistan Army was the target. 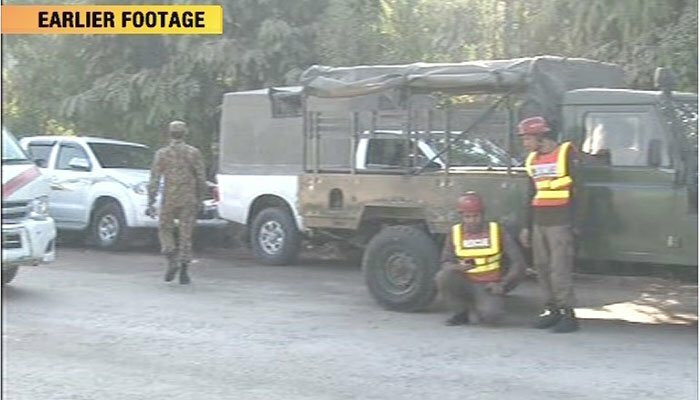 At least six people were killed and 15 others were wounded when a suicide bomber detonated its explosives on Lahore’s Bedian Road. 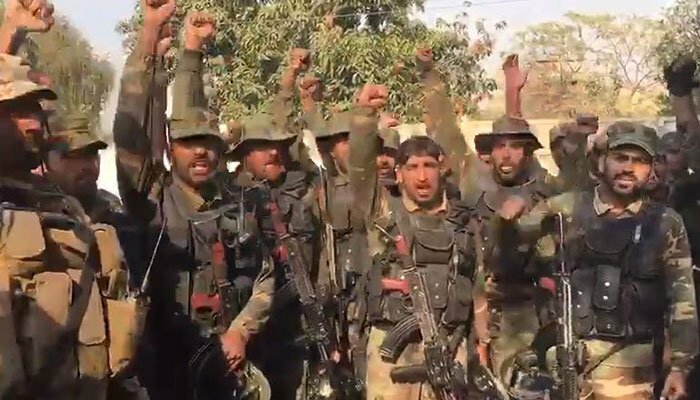 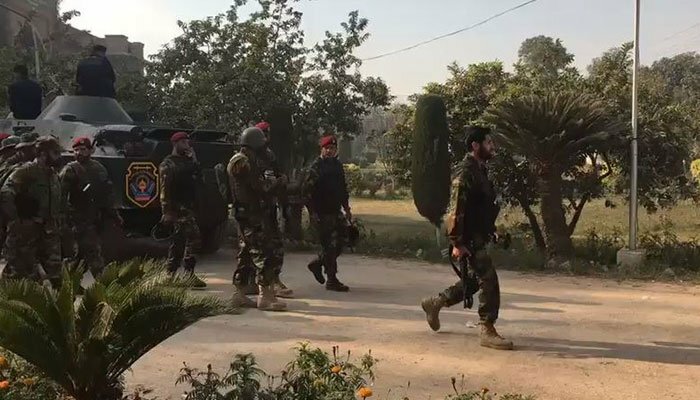 While speaking to Geo News, a spokesperson for the Punjab government, Malik Ahmed Khan, had said the target seemed to be the census team and the soldiers accompanying them. 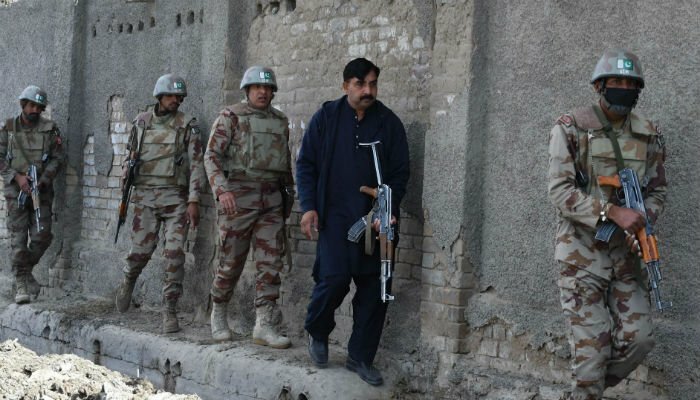 In May, it was Balochistan that became the target of terror attacks not once, but multiple times in the months which followed. 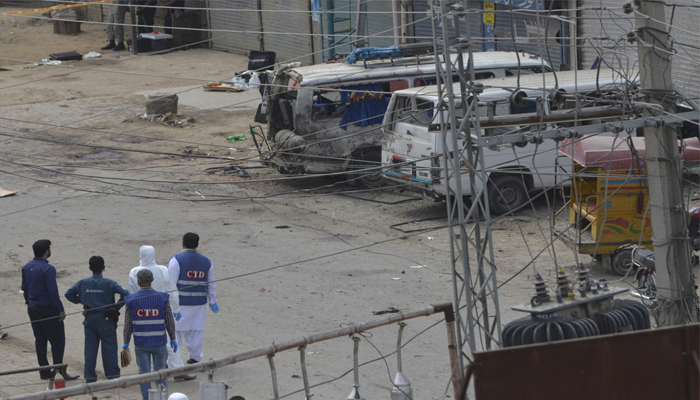 On May 12, a suicide bomb blast targetting the convoy of a senior politician in Balochistan killed at least 27 people while 30 others were injured. 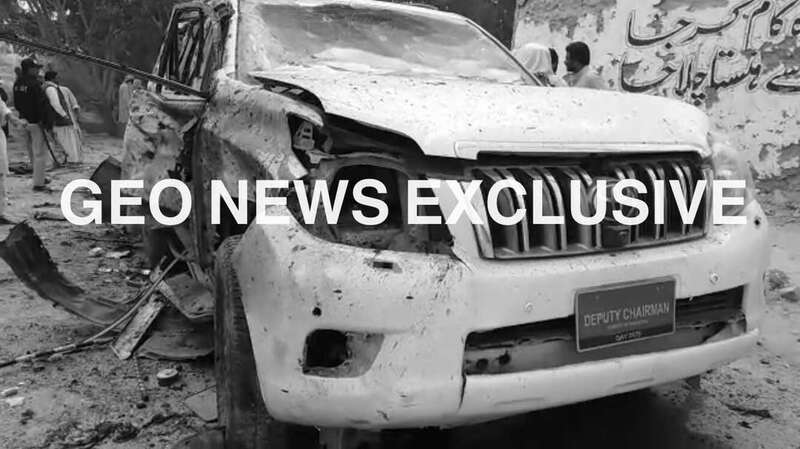 Vehicle damaged in the explosion. 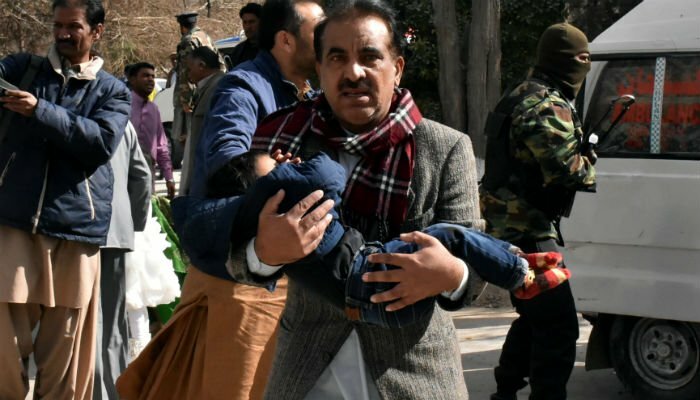 The incident occurred in Mastung district of the province — not very far from the provincial capital — where a vehicle carrying Senate Deputy Chairperson Maulana Abdul Ghafoor Haideri was struck by the blast. 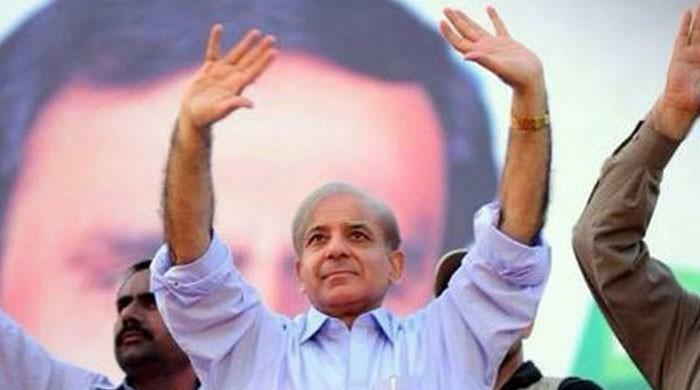 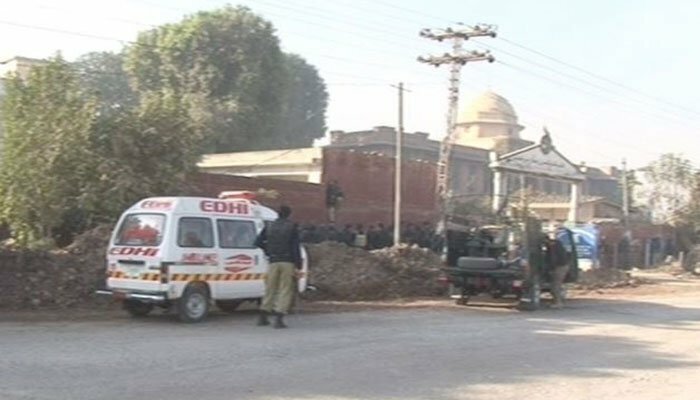 The targetted person, Haideri, escaped the attack with light injuries but his driver and an aide were killed. 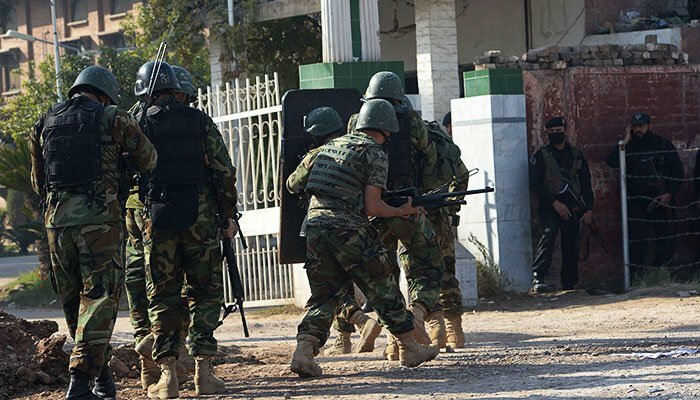 For the third time in the year, another major attack took place in Parachinar, Kurram Agency. 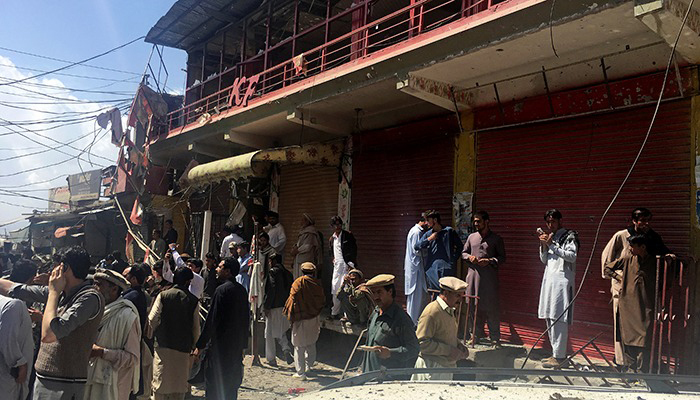 This time, twin blasts occurred in the bustling Turi Bazaar area of Parachinar, where people were shopping for iftar and Eid, which was to be celebrated in most parts of the country the following day. 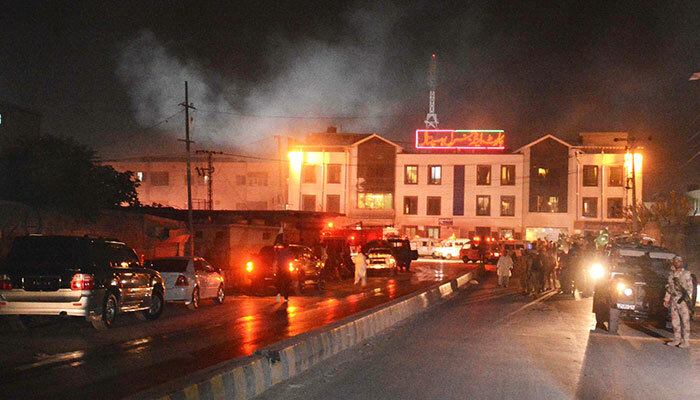 Ambulance near the site of the explosions. 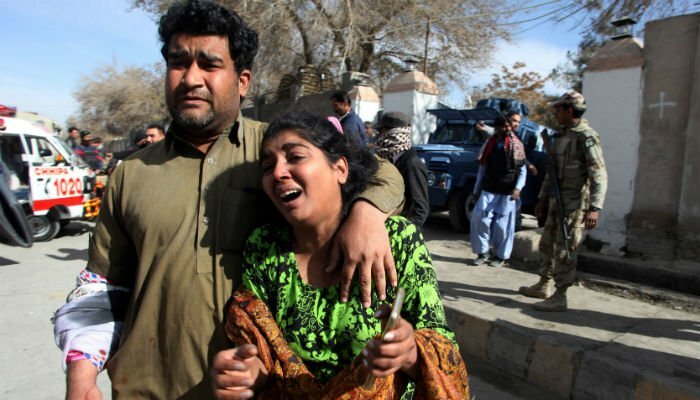 At least 45 people were killed and 300 others were wounded in the explosion. 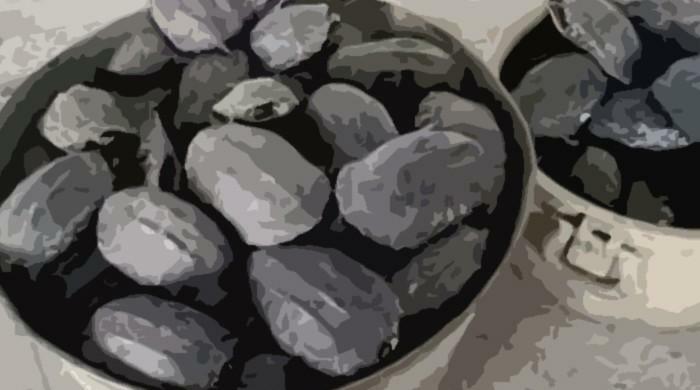 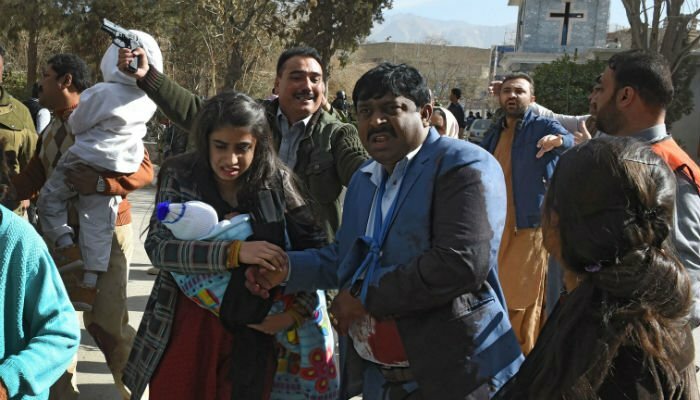 While speaking about the incident, a local official, Nasrullah Khan, had said the first explosive device detonated when the market was crowded with shoppers. 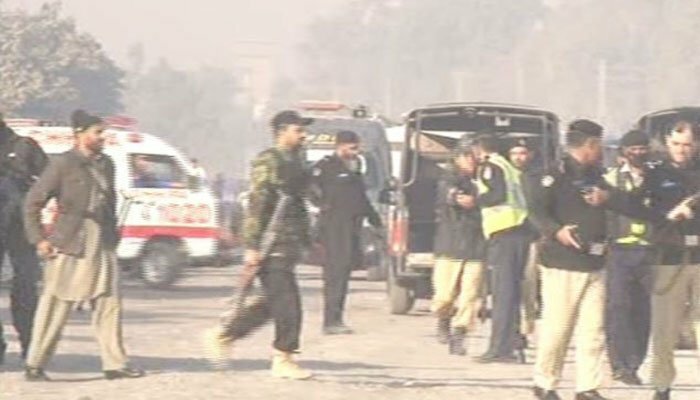 He added the second blast took place when people rushed to the site to rescue the wounded. 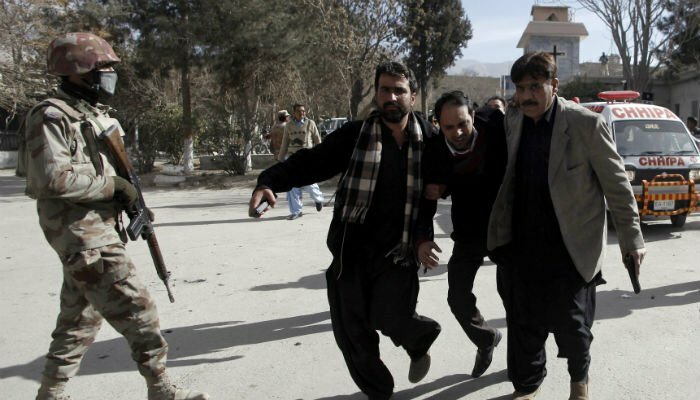 The twin blasts hit Parachinar just a day before Eid despite security arrangements being in place in the area. 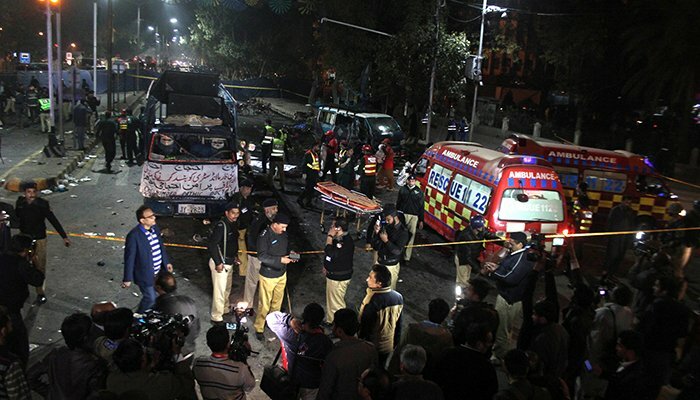 In July, it was Lahore again, when an explosion in a busy vegetable market claimed lives of at least 26 people, including nine policemen. 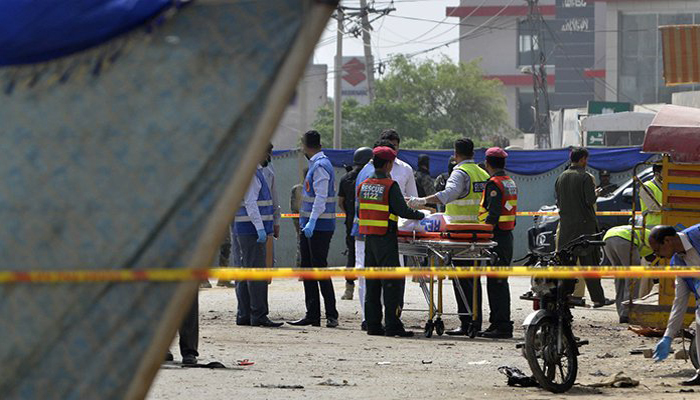 The attack was a suicide blast, the bomber detonated his explosives amid a crowd in Kot Lakhpat Sabzi Mandi near Arfa Karim Software Technology Park on July 24. 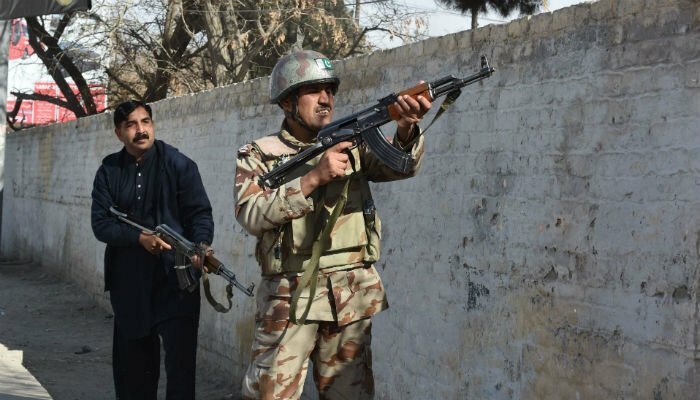 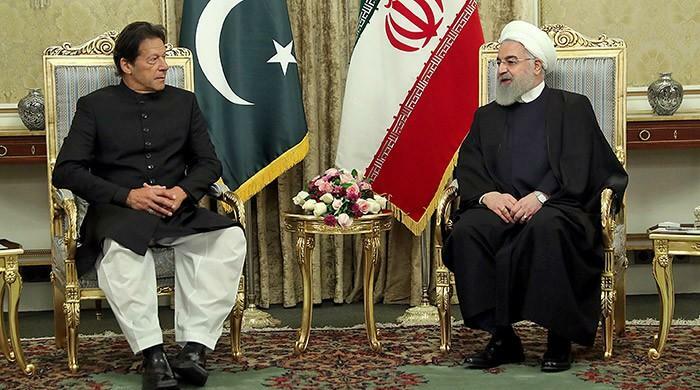 The explosion came a few days after the Army started its operation, Khyber IV, in Rajgal Valley of Khyber Agency in the Federally Administered Tribal Areas. 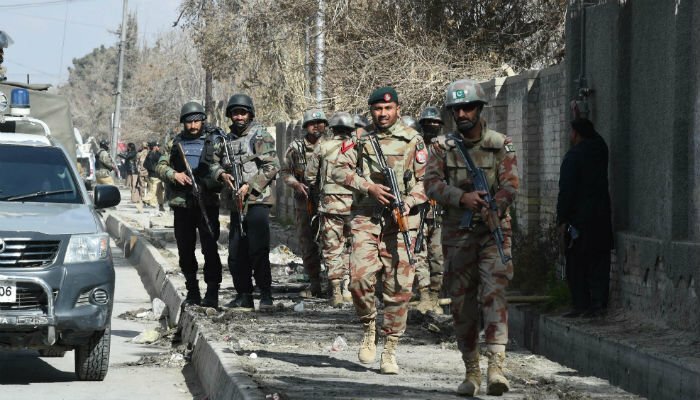 After Eid celebrations were marred by violence, an attempt was also made ahead of Independence Day, with a huge suicide explosion targetting Pakistan Army personnel in Quetta. 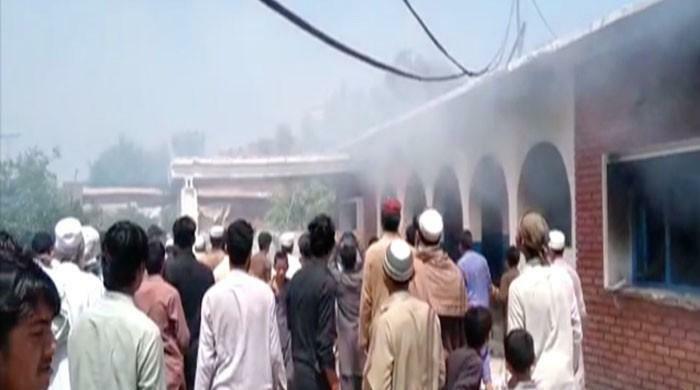 Smoke billows from near a building after the explosion. 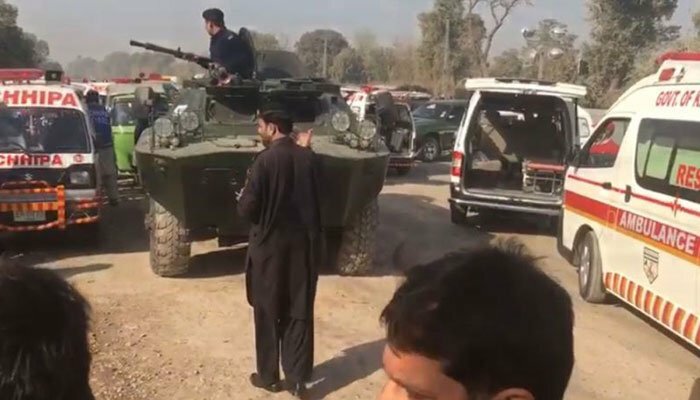 At least eight army men were martyred and seven civilians killed in the blast that took place in a vehicle at Pishin bus stop on August 13. 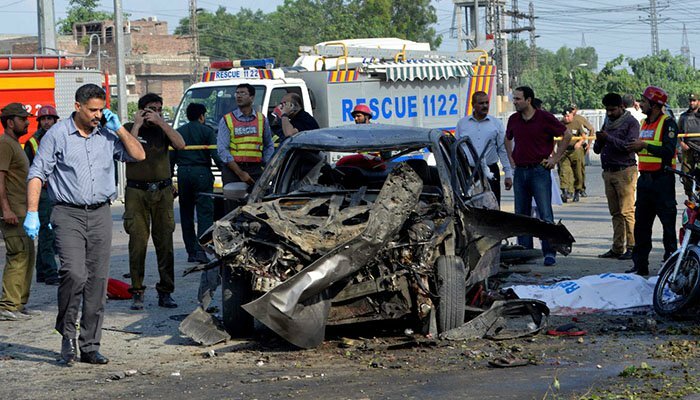 The subsequent fire caused by the explosion took the surrounding vehicles into its folds. 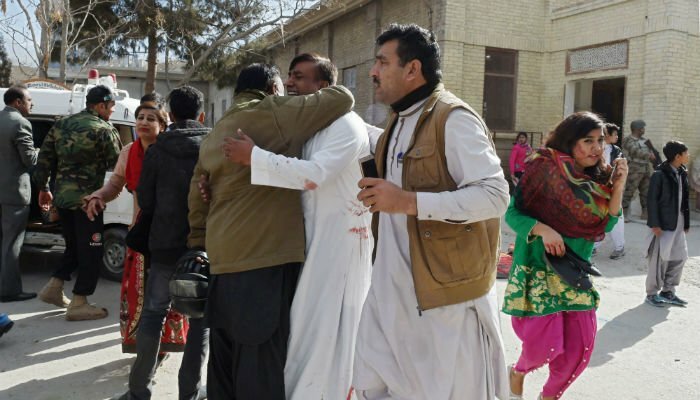 After a month’s lull, the people of Balochistan witnessed terrorism once again, a suicide blast at Fatehpur shrine in Jhal Magsi district of the province on October targetted worshippers as they visited a Sufi shrine. 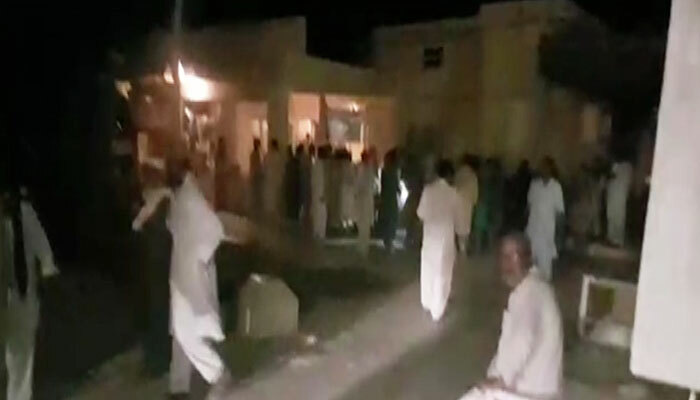 Moments after the Fatehpur shrine blast in Jhal Magsi district of Balochistan on October 5. 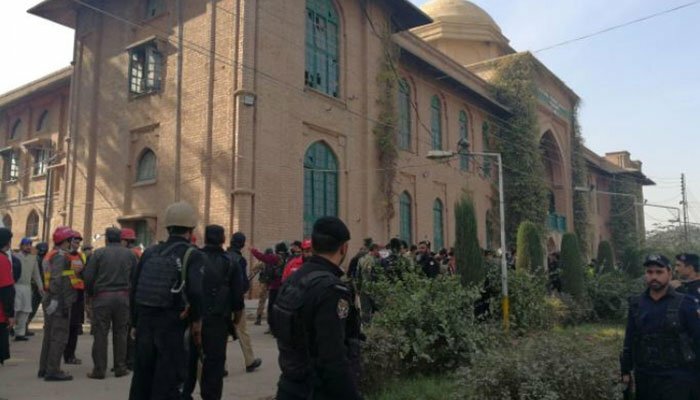 At least 20 people were killed and 33 others were injured when a suicide bomber blew himself up after he was intercepted by police guards on duty outside the shrine. 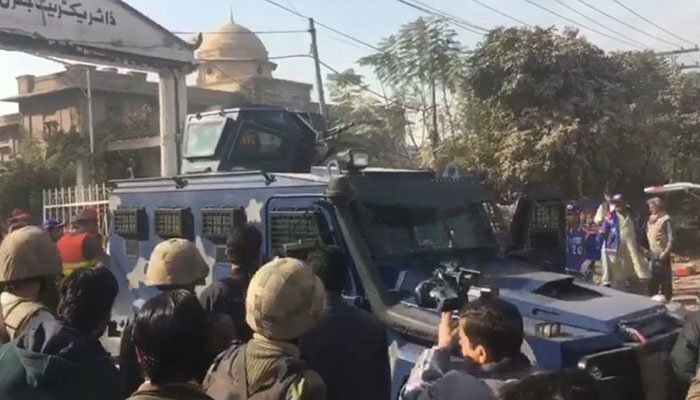 It was said that the shrine was packed with people at the time of the incident – many had gathered to attend the anniversary celebrations of Syed Cheesal Shah. 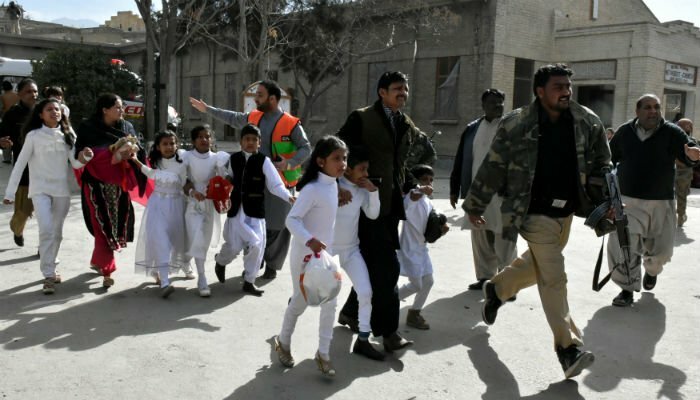 As the year neared its end, a students hostel was targetted in Peshawar, leaving nine dead and more than 30 injured. 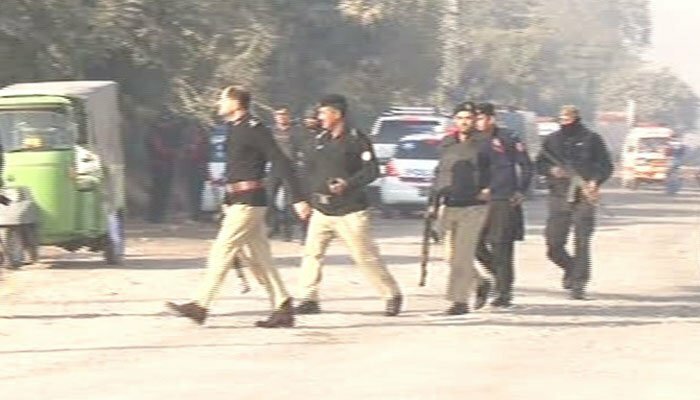 Early in the morning on December 1, Directorate of Agriculture Extension on University Road, Peshawar was attacked by terrorists. 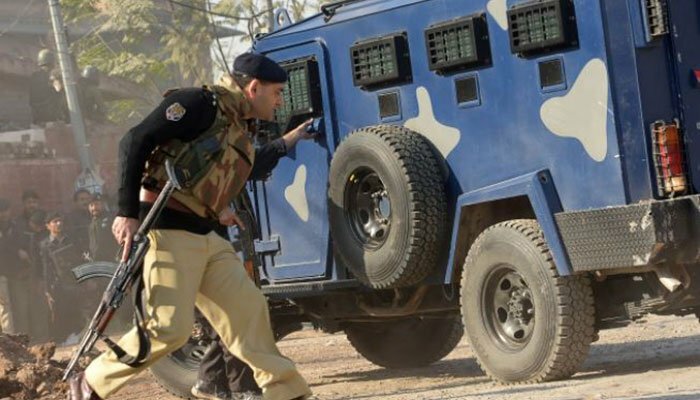 SSP Operations Sajjad Khan said five attackers wearing suicide jackets reached the compound in a rickshaw. 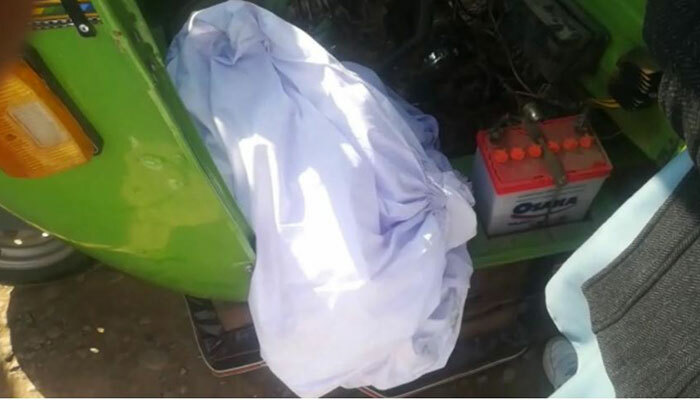 They were said to be wearing burqas in the rickshaw so as to avoid detection. 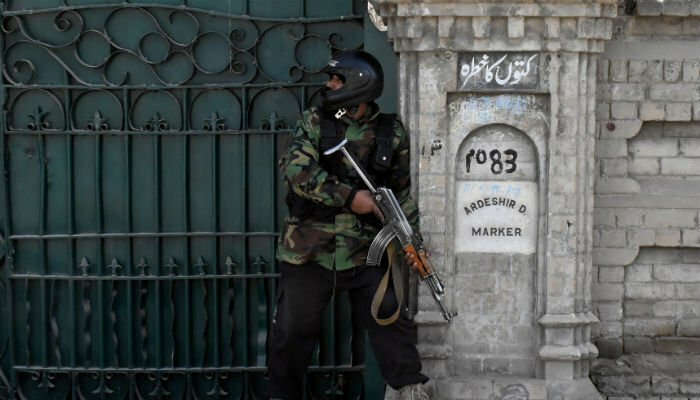 The police official said the attackers' first target was the security guard of the premises, following which they made their way inside towards the students' hostel of the Agriculture Training Institute, attacking whoever crossed their path. 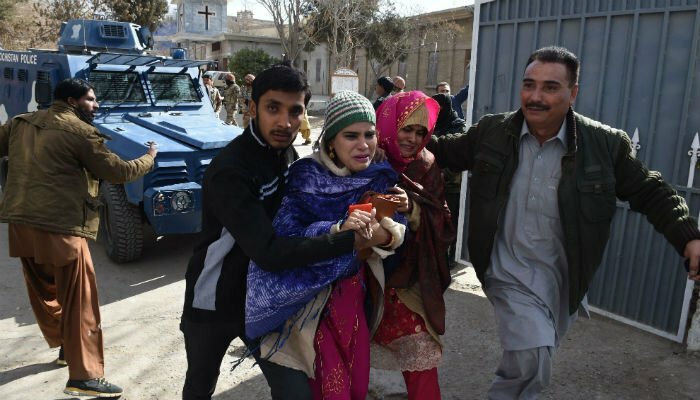 A church in Quetta was attacked in the week leading upto Christmas, killing nine and injuring at least 50 others. 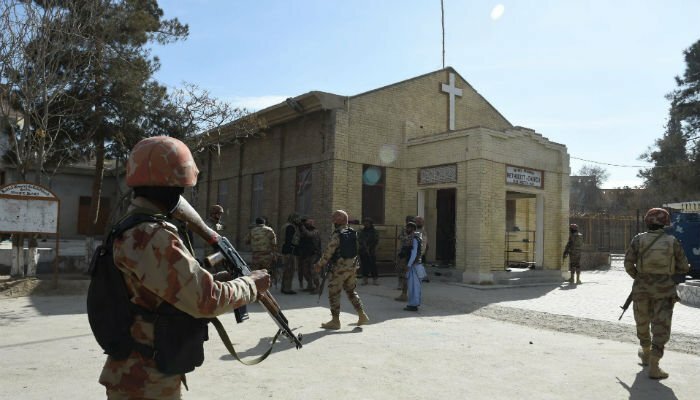 Bethel Memorial Methodist Church was hit by terrorists when a service was underway with at least 400 people in the hall for prayers. 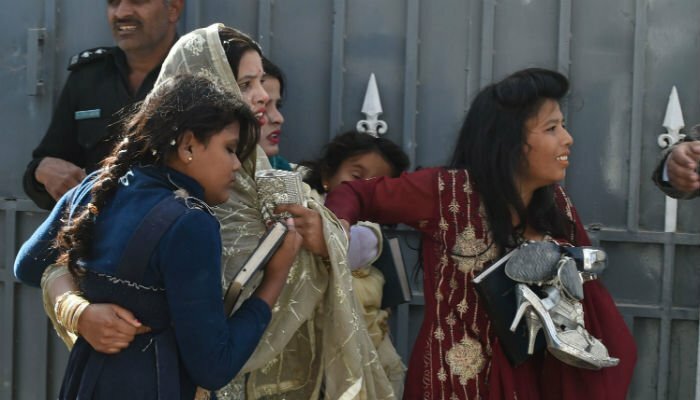 Although the security personnel managed to stop the terrorist from wreaking havoc inside the church, families who lost their loved ones were left devastated regardless, not being able to celebrate Christmas the way they would have wanted to.